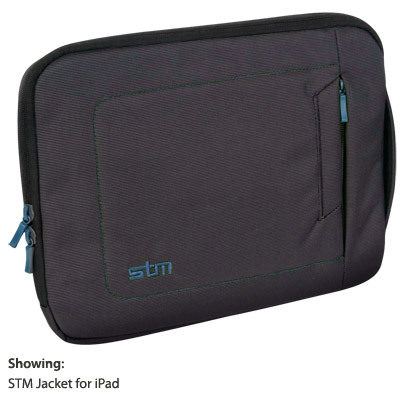 Designed specifically for the Apple iPad and various-sized laptops, the STM jacket combines outstanding protection and versatility with contemporary style. Protection where it counts: Constructed from stylish, yet durable 600D water-resistant nylon, and packed with a continuos layer of high-density closed cell padding, the STM jacket provides unequalled impact protection. The jacket's interior is luxuriously appointed with extra-soft and supple polyester microfiber. A large zippered pocket houses your charger, cables and other accessories (excludes D7 model). 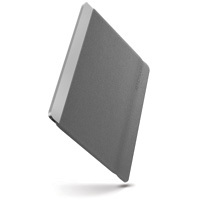 Secure, front-mounted slitted pocket gives you quick access to smaller items like cell phones, wallet, etc. 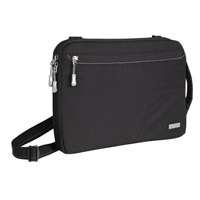 Full-width rear pocket provides ample storage for documents and other non-bulky bits. 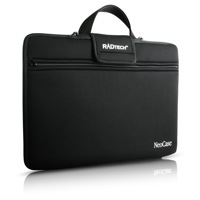 A durable and removable shoulder strap rounds out this excellent package. * The TSA has announced that iPads need not be removed from any case or sleeve.